We’ve been involved in these conversations lately about Life’s Work. How this artist or that just HAD to write, or draw, or compose. They were called to create, and it seemed as though they had no choice but to obey. How fortunate, to have that calling, I thought. But then, I thought some more. 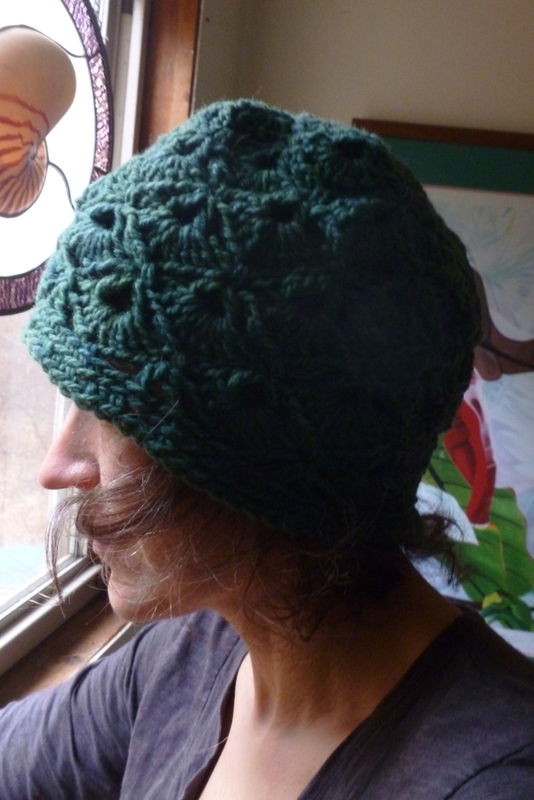 I thought while I was making this hat from the awesome green wool that was tended and dyed by my friends at Hill and Hollow Farm. 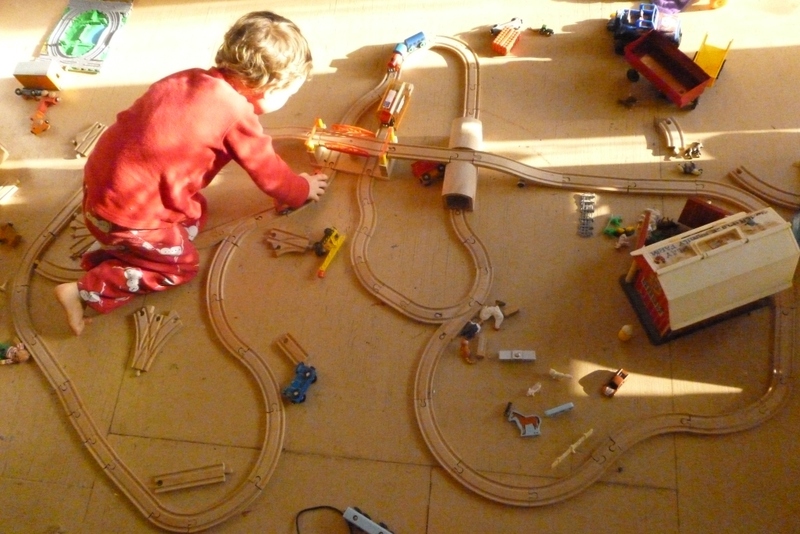 And I thought while my daughter wrapped her mind around division and practiced dancing all over whatever floor space wasn’t taken up by my son’s wooden train tracks. I thought while cooking dinner in the same space with my fellow man as he pressed soil blocks and tinkered with the rice huller he’s building. I thought while walking in the mud (wonderful mud), by the daffodils, the waiting wet garden, the swollen creek. I thought about spring, and the garden, and farming and the graceful stewardship of life that happens on so many beautiful farms and homesteads around here. I thought about parenting (there’s always a lot to think about there). I thought about meaningful work, healthy families and friendship and kindness and compassion. I think now that the invisible creations might be the most important ones. The main thought is this – that we are all called upon by life, by the fact that we are alive. Because we are alive, we are all called to create this world that we live in and share, all the time. The trick is knowing it. Let me add to that: The trick is knowing it, and participating, with love. 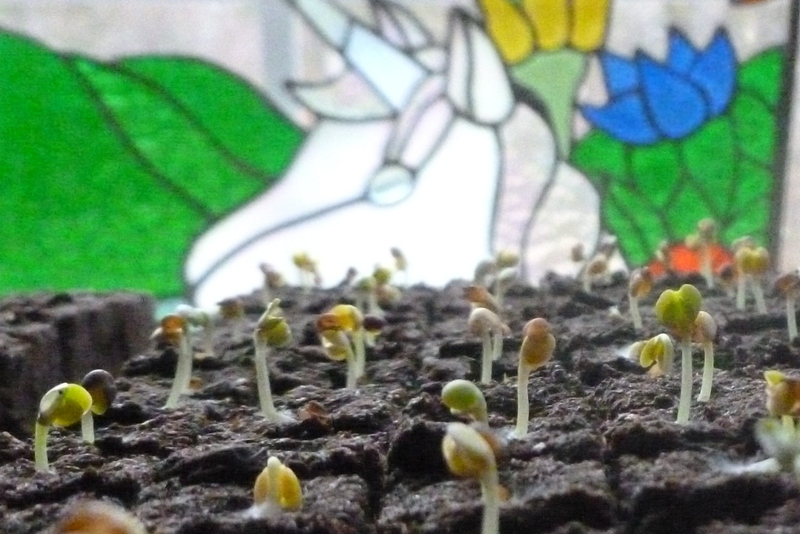 This entry was posted in coree's posts and tagged compassion, gardening, hand-knits, handmade, life, living, seedlings, spring by Coree. Bookmark the permalink. i love the tracks! isn’t it great fun? This is an arrow for me tonight! Life is a calling. i need all the arrows i can get. glad this one touched you. make a beautiful day!